Black Panther is a beautifully shot film. The fictional country Wakanda is rich in detail. The central story is about belonging and heritage. Ryan Coolger, the 31-year-old African American director looks at Africa with a different set of eyes and response to this film in Kenya has been tremendous. A film is big when people pack theatres weekend after weekend and even during the weekdays to experience the magic of the big screen despite our home entertainment movie culture. Black Panther is a tale told by Africans about a place far away that they call home. In some respects, an African dream inspired by Marcus Garvey’s rallying call to the African diaspora, “ Look to Africa, where a black king shall be crowned for the day of deliverance is at hand”. Ryan Coolger said in a Rolling Stone interview that Black Panther explored what it meant to be African. From the inside looking out, Black Panther checked some heavily referenced “Poor Africa” stereotypes typical of the outsider perspective. Kenyan writer Binyavanga Wanaina in his popular essay “How To Write About Africa” offered some satirical advice. “In your text, treat Africa as if it were one country. Readers will be put off if you don’t mention the light in Africa. And sunsets, the African sunset is a must. It is always big and red. There is always a big sky. Black Panther gives a lot of prominence to the word tribe to describe the different people of Wakanda. The term tribe was used as a tool in the colonial policy of divide and rule. The enlightened way to describe native micro-nations in Africa is by their name, the Igbo, the Xhosa, the Turkana, the Shona. It is unnecessary to qualify African ancestry with the word tribe. The Hollywood attempt at standardizing an African accent has to be resisted. Regional accents serve as a better representation of diversity. Accents can be assigned regionally as say speaking English with a Xhosa inflection. Then of course, every authentic African themed movie must end with a sunset scene and the Black Panther did not disappoint. 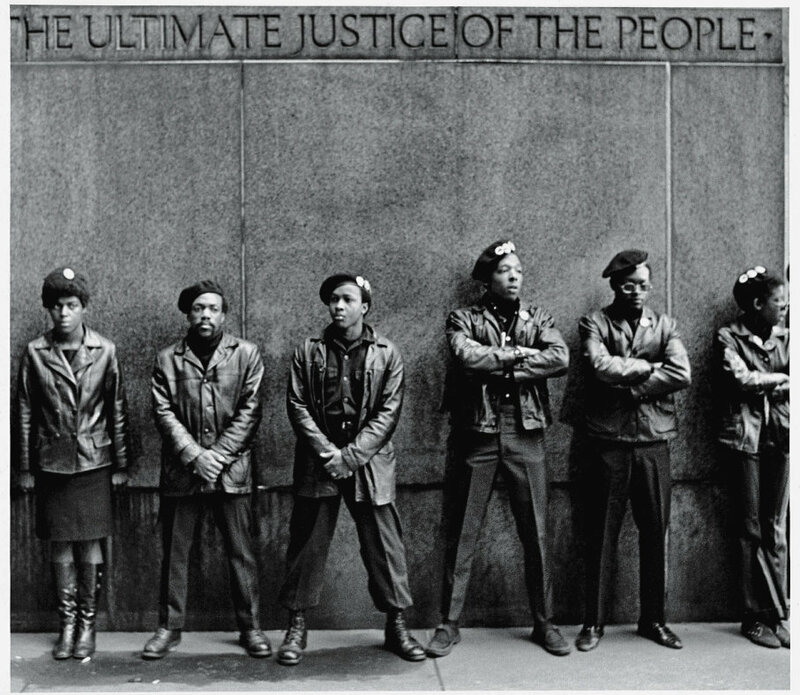 Away from the nitpicking, it is easy to forget that Black Panther is a film written for 10-year-olds and an adaptation of a comic character introduced in 1966, the same year that the Black Panther Party for Self Defense was founded in America. The politics of the movie was bound to stir debate on racial dignity and self-determination. This is a picture frothing on the brim in its commitment to celebrate African heritage. A counter superhero story brewed in an African pot. Black Panther has provoked an identity discussion about what it means to be African and it happening between Africans in the continent and in the diaspora. I have gotten swept up by the pages of analysis and reviews, drawn into debates about the representations of race in American cinema and the complexity of a black African identity. I started going to the cinema in the 80s back when Nairobi had a vibrant movie theatre scene. The cinema halls Kenya, 20th Century, Nairobi, Odeon, Cameo, Casino were within a 100m radius of each other in downtown Nairobi. They were two drive-in cinemas, Fox Drive on Thika Road and Bellevue Drive-in off Mombasa road. The 80s were rough years. 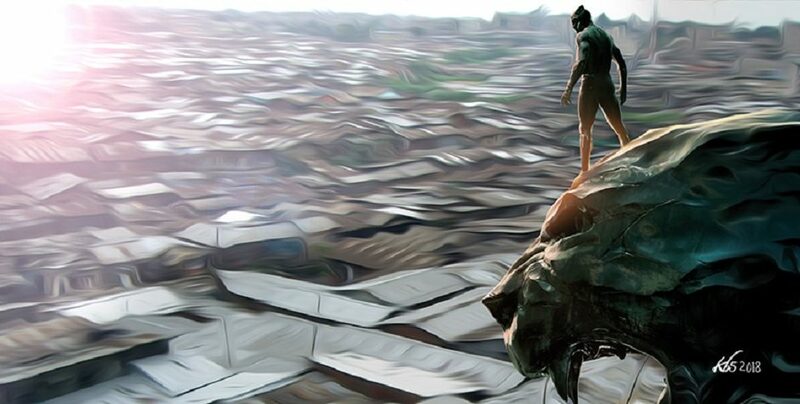 Structural Adjustment Programmes and austerity set off an exodus to the West and with the rise of an authoritarian regime in Kenya, we looked to cinema for that much-needed escape from the frustration of the daily life pounding our parents. There was hardly ever any black representation on the big screen and when black people were shown they were typically in subordinate roles to the white lead. The big movie depictions of Africa were afflicted by Tarzan’s jungle fever. Africa and her people were backdrop props to foreign stories. The big African themed movies of my 80s were “Out of Africa, Gorillas in The Mist, Sheena, Queen of the jungle( A blonde haired white woman riding a zebra through the savanna). Africa was a vast space where majestic game roamed free, peppered with noble savages and subservient labourers in pressed white khaki uniforms pledging loyalty to the benevolence of their white masters. The first movie I encountered that challenged this stereotype was “ Coming To America” and it stood apart in the 80s for its leading men Eddie Murphy, Arsenio Hall and James Earl Jones.Coming To America is a romantic comedy about an African prince from the fabulously wealthy kingdom of Zamunda flying across the Atlantic in search of love. The prosperity of the fictional Zamunda kingdom was contrasted with the squalor that characterized the black underclass in Queens, New York. It parodied the African American ignorance of the African experience and introduced the radical idea then of sophisticated Africans appalled by the backwardness of American culture. There was an underlining satirical element to Coming To America. Africa in the Afro American consciousness was a place of poverty and primitive existence but within it existed oases of affluence, prosperity hiding in the open. In the kingdom of Zamunda and Wakanda, a glorious Africa thrived yet its story remained unknown in the Western worlds. In the 80s, VCRs, video cassette recorders were all the rage and we started getting access to what was then the blaxploitation genre, with it stereotypical crime and violence themes. Spike’s Lee ( Do The Right Thing) and John Singleton’s ( Boyz N The Hood) became my most influential movies in this space and they helped raise awareness of systemic racism in America. One time, I went to a video hall that screened martial arts and combat movies and settled to watch the legendary Bruce Lee in Enter The Dragon. 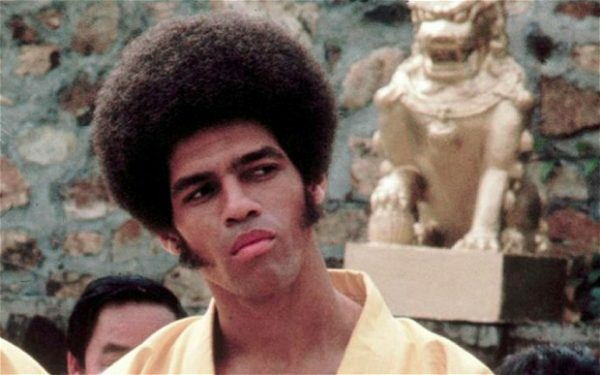 I remember the crowd cheered when Jim Kelly with his Afro came into the scene as if to say, finally our own black kung fu master. They were hardly any black people in major roles and had no access to African cinema. From then, I started consciously seeking out Afro conscious characters in the 90s who had multi-dimensional lead roles, among them Wesley Snipes (New Jack City), Denzel Washington (Malcolm X), Will Smith (Men In Black), Samuel Jackson ( A Time To Kill), Laurence Fishburne ( Just Cause), Whoopi Goldberg ( Sarafina) and Angela Basset (Waiting to Exhale). The excellence of these pioneer cast of black leading men and women were crucial counter-narratives to the childhood images I was exposed to on the big screen of an African race defined by tragedy and backwardness. In the first decade of my life, Nelson Mandela was in jail. Apartheid was alive in South Africa. Steve Biko was brutally murdered in police custody. Samora Machel was assassinated. Thomas Sankara met the same fate within a year. There was civil war and coups in one half of Africa, brutal dictators in the other including Kenya and a devastating drought in Ethiopia. In America is where we sought black excellence. Collin Powell was making history as the first African American Joint Head of Staff, Jesse Jackson was running for President and the Oprah Winfrey show was nationally syndicated. These were our little black spots of brilliance in a world of global excellence that was lily white. Compare these depictions to the past decade(post-2007), for the African child growing up in the continent. The president of the United States was a black man. The most beautiful woman in the world at least according to the People’s magazine in the world is black. The most recognizable liberation icon, is a black South African. Among America’s top TV hosts is a black South African. 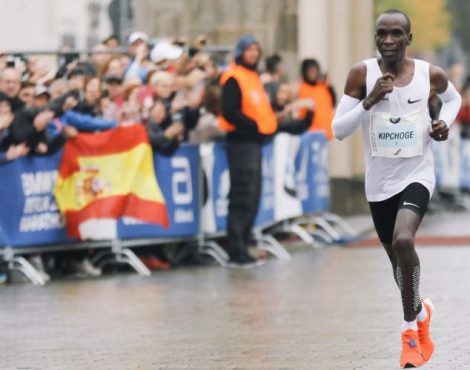 The top sports stars, from athletics, through to tennis and formula one are black. A biracial woman born of a black mother is about to marry an English royal. The biggest movie of the time, has an entirely Black cast with multidimensional and strong female characters and is dedicated to a theme of blackness. The dreams of one generation have become the reality of another. Movies have served as crucibles for the dreams of black excellence. Black Panther is a movie that celebrates dreams and speaks to the power of re-imagining of black heritage in all its shades. At the centre of this black renaissance in American cinema is a cast of strong, dark-skinned African sisters. Which brings me to the influence of Lupita Nyong’o who plays a Wakandan spy and the king’s love interest named Nakia. The strongest appeal for someone born in the 70s of the Black Panther was its African representation. It is this same pride that I felt when Kenyan actors started to be cast in big-budget Hollywood features. Edi Gathegi (Twilight), Benjamin Otieno (Tears of The Sun) and Charles Gitonga Maina (Air Up There). 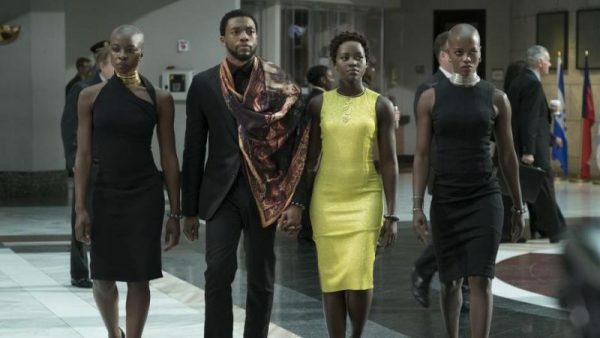 Okoye (Danai Gurira), T’Challa (Chadwick Boseman), Nakia (Lupita Nyong’o), and Ayo (Florence Kasumba) in Black Panther. “No matter where you are from, your dreams are valid”. Indeed, she was living the dream of any actress who cut her teeth in Kenya. In 2009, I met Lupita at the Story Moja literary festival at Impala Club in Nairobi. She was an unknown in the local art scene, save for local prominence of a family name as the daughter of a well-known politician, Professor Anyang Nyong’o’. Lupita was presenting a small documentary, titled “In My Genes” about living with Albinism in Kenya. It was certainly not the biggest thing happening at the festival. She was one among many young Africans hustling hard in an industry that did not give too many breaks. She had previously worked as a production crew member for Fernando Meirelles‘s The Constant Gardener and Mira Nair‘s The Namesake. Lupita was superb as Ayira in the television series Shuga and there was little doubt that she was an exceptional talent with her stand out role in the series. It seemed then, a tall order that a girl of her dark complexion would crack the black ceiling of American cinema. Perhaps, her look was only good for a representation role as the latest exotic African beauty on a fashion runway. Then came along, Steve MC Queen’s historical drama 12 years A Slave and we say the rest is history. In one moment, Lupita became the first African, Kenyan and Mexican (Afro Mexicans exist) to win an Academy Award. Back home, we argued with movie-loving friends whether Lupita would inherit the curse of black success. The Kenyan public relishes in cutting tall poppies down to size, something that celebrated TV host Jeff Koinange once described as the PHD syndrome, Pull Him or Her Down. When success descends after hard labour, especially the nature that involves international accolades, one is advised to keep their head bowed. You might be big in Hollywood but back in Nairobi, one must not forget their humble beginnings. Lupita’s body of work in the last 5 years since she won the Academy Awards is impressive. She has had a very good run in Hollywood so far and progressively risen in stature. For the pioneers in the arts like her, she cannot afford to lose focus because the pressure of excellence is not negotiable. It is important to the dreams of millions that she succeeds in line of work. It is part of the deal with black excellence in the arts and twice as hard for women. Big dreams come bearing huge responsibilities and you can only get used to it. Be prepared to be celebrated and then eviscerated the moment you slip from grace. Still, the significance of Black Panther is in its representation. Ryan Coolger talks of his own personal dream of representing black people in screens around the world. President of Marvel Studios Kevin Feige said this about Coolger in an Entertainment Weekly interview, “He’s making this movie for his 8-year-old self,”. The entire Black Panther cast breathes new life into the connections between Africans and African Americans, the coming together of a black Diaspora scattered by forces of imperialism to dream up a counterculture reality, as Wakandans. The African diaspora ensemble includes Lupita from Kenya, Danai Giriria from Zimbabwe, Daniel Kaluuya from Uganda, Florence Kasumba who is German-Ugandan, Winston Duke from Trinidad and Tobago, John Kani and his son Atandwa Kani from South Africa, Letitia Wright born in Guyana and Isaac de Bankolé from Cote d’Ivoire. 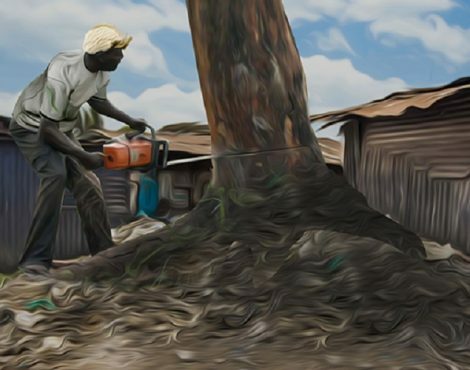 Daniel Kaluuya, who plays W’Kabi in the film (and who was born in England to Ugandan parents) talks about coming home to Uganda and getting transformed by the subtle reality of seeing blackness in new light, from the president down to the cleaner. This seemingly simple act of representation has been consistent in inspiring prominent African American personalities for decades. 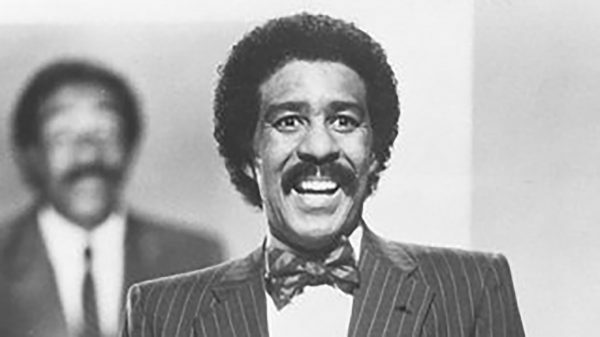 Legendary standup comedian Richard Pryor talked about how a trip to Africa changed his perspective in 1979. Barack Obama talks about a sense of belonging on his first trip to Kenya in 1987, in his memoirs “Dreams of My Father” upon an encounter with a total stranger at the Jomo Kenyatta International airport who recognized his surname. The central question of what it means to be African for Africans dislocated from their roots is what the characters of Black Panther grapple with. 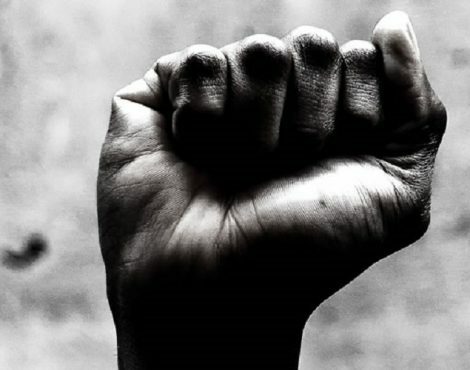 The plot line draws out the connection between the struggle for identity, representation and dignity for black people all over the world. It is a movie that challenges its viewers to imagine and rediscover the cultural heritage of black ancestry. It insists on the participation of black people in their own ideas for the future. What is Wakanda, other than the dreams of Zion while in Babylon, dreams of Canaan while caught in captivity in Egypt or Heaven bound while enduring earthly suffering? Africa is a continent that has consistently stood aside and watched, Bob Marley prophesized, as its dream weavers were killed. The shared story in the birth of modern African nations, is one of stillborn dreams. Africa is in need of dreamers and in Black Panther’sWakanda, a generation of young Africans is inspired to imagine and color a future on their own terms. That dream of a Pan African utopia must remain valid. Article was first published at TheElephant. Great read as usual…I have traveled afar but I always find real warmth back at home, with my people, in Africa.